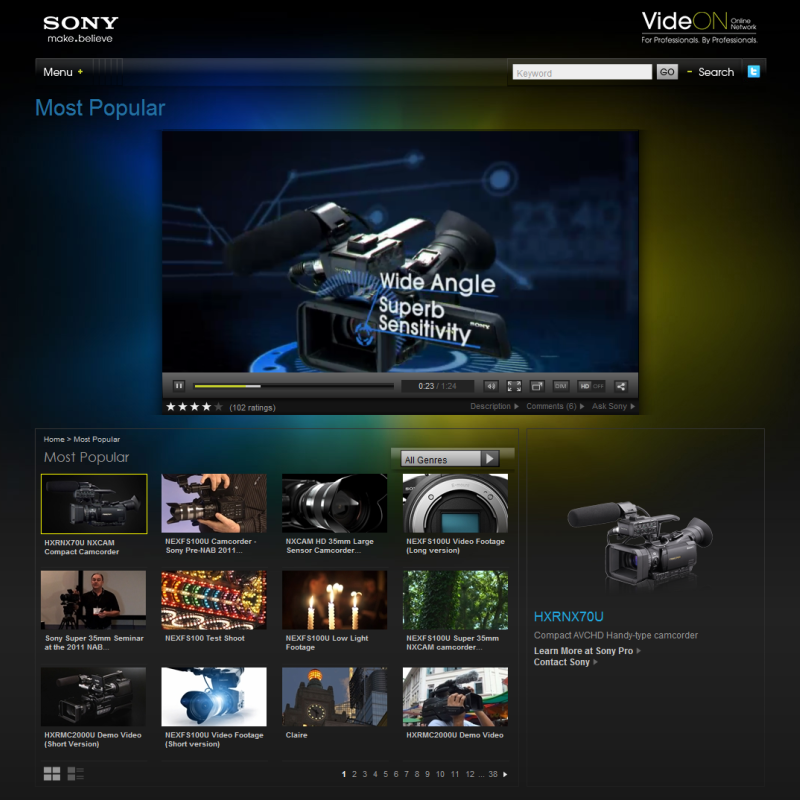 I worked with Cypress Creative Director Roy Matich and fellow UI designer Toan Le to design a web portal for Sony pro video gear. 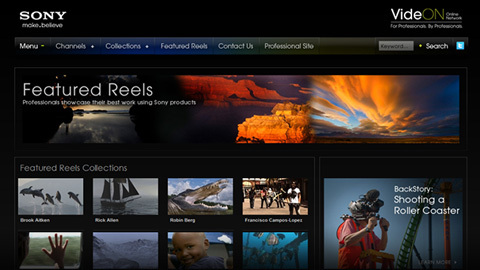 To meet this objective, the portal needed to showcase content that would resonate with this audience – and was produced by this audience. 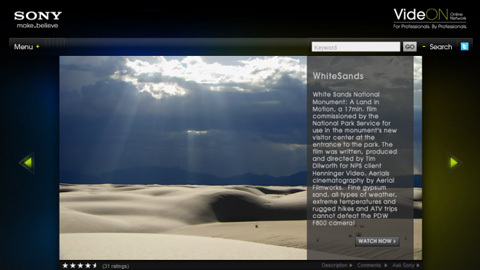 Working with Sony, we designed the portal such that the video is the hero – the oversized video player on the home page allows Sony to dynamically alter featured content at any time, keeping the site content varied and fresh. 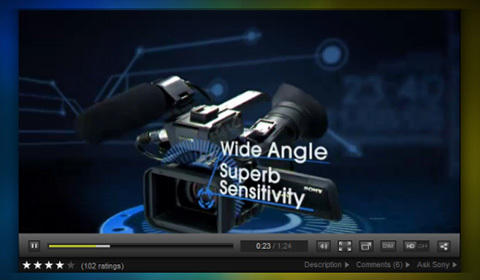 To engage users with the video, the player allows ratings, comments and even the ability for users to submit questions directly to Sony. 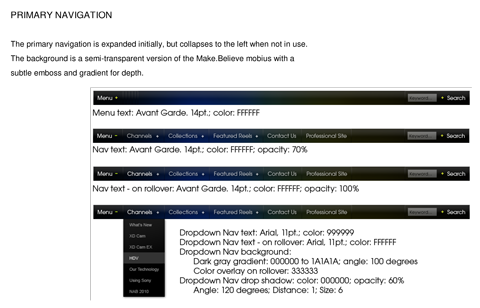 I created a style guide for the video portal as well.